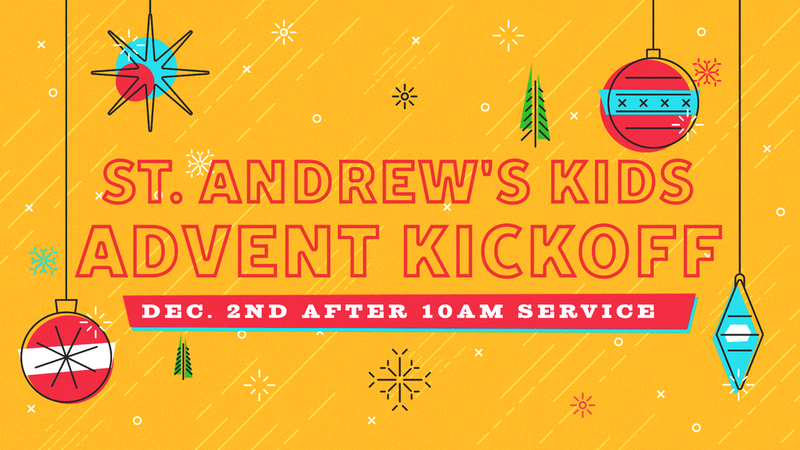 December 2nd, following the 10AM service, friends and families of St. Andrew’s kids are invited to join us in the fellowship hall for some Advent fun to help us get ready to celebrate the season! Advent wreathes, crafts, games, pizza and more! Suggested donation of $5 per person or $10 per family helps cover the cost of this fun event.